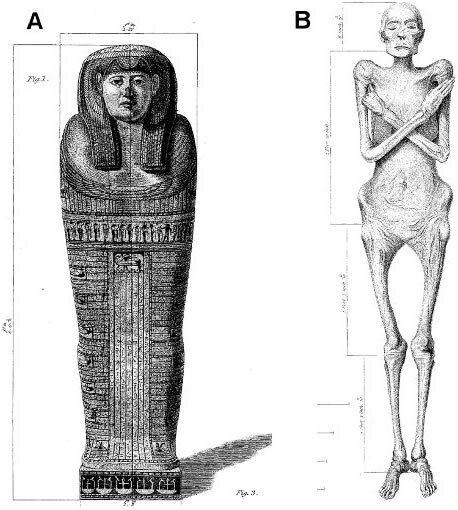 In 1825, physician and obstetrician Dr. Augustus Granville performed the first modern scientific autopsy of a mummy. 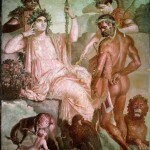 The 2,600-year-old Irtyersenu had been taken from the necropolis in Thebes and passed along to the good doctor, who performed an extensive 6 week autopsy then presented his findings in grand style in the Royal Society halls. “I determined, perfect and beautiful as it was, to make it the object of further research by subjecting it to the anatomical knife, and thus to sacrifice a most complete specimen of the art of Egyptian embalming, in hopes of eliciting some new facts illustrative of so curious and interesting a subject,” Granville said. In a dramatic flourish, Dr. Granville lit said halls with candles made from wax he scraped off the mummy. He thought it was a mixture of bitumen and beeswax used to preserve her. It turned out to be adipocere, ie, her own body fat broken down into a crumbly waxy substance. So he described her corpulent figure, her remarkably intact soft organs, her pelvic bones that showed signs of multiple childbirths, her age at death (50 – 55), under the flickering light of her own fat. He found a tumor on her ovary and declared it the cause of death, but Irtyersenu has had the last laugh after all, because with today’s technology, scientists have been able to demonstrate that in fact the tumor was benign, and it was tuberculosis that killed her. Reporting on Wednesday in the Royal Society journal Proceedings B, scientists led by Helen Donoghue, a specialist in infectious disease at University College London, used hi-tech analysis to explore what might have happened. Thwarted by the difficulty of obtaining a well-preserved sample of DNA, they took material from the bones and soft tissues and tested it with liquid chromatography, analysing it for chemical telltales. The signatures point to biomarkers of the cell wall of Mycobacterium tuberculosis — the germ which causes TB. It was found in the lung tissue, pleura, diaphragm and femur. 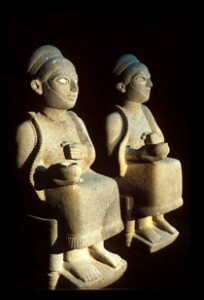 Paleopathology studies done on other Egyptian remains suggest tuberculosis was common in Egypt at the time. 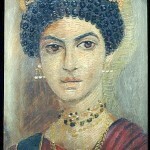 The quality of the art on her sarcophagus plus the fact that her internal organs remained in place instead of being placed in canopic jars suggests Irtyersenu was neither too poor to afford a quality burial, nor rich enough to be able to afford the top notch embalming procedures, so solidly middle class and easily exposed to any Mycobacterium tuberculosis going around. 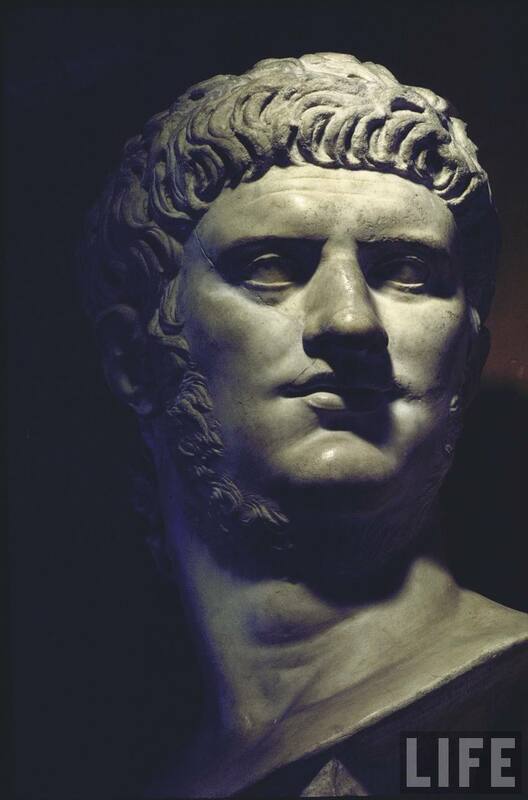 Nero’s revolving dining room found? 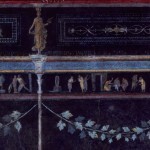 Suetonius described a circular banquet hall with a perpetually revolving floor in Nero’s Golden House. People have thought he was talking about the famed octagonal hall and was just confused about the shape and which part of it moved. 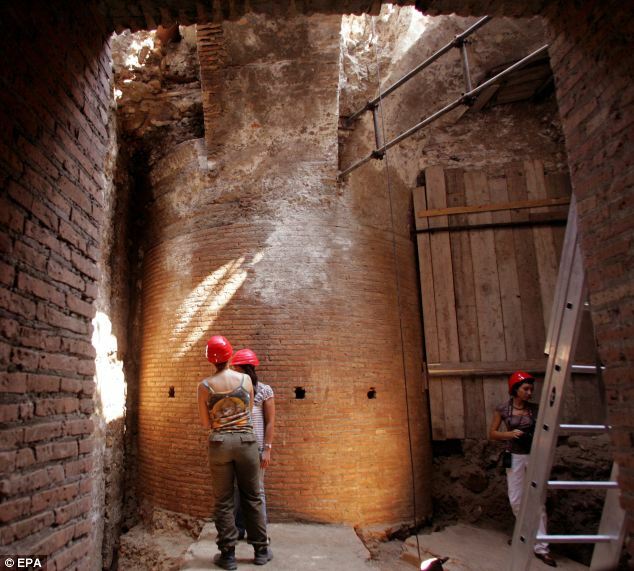 A remarkable structure uncovered during routine structural support work on the Palatine Hill, however, suggests that the floor might indeed have revolved to mimic the movement of the heavens. “This cannot be compared to anything that we know of in ancient Roman architecture,” Villedieu told reporters during a tour of the cordoned-off dig. The dining room is 50 feet in diameter. 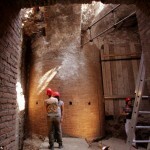 The pillar underneath it is 13 feet wide, the largest one known in Roman architecture. Four spherical structures surround it, filled with an unidentified dark substance that archaeologists have sent to be analyzed. There are also 7 arches underpinning the floor of the dining room, 4 on the top level (one of them complete), and 3 on the bottom level. Presumably the pillar, spheres and arches were all part of the rotating mechanism. It’s not confirmed that this is the dining room Suetonius mentioned. There are no inscriptions or specific indicators, but the structure was definitely built after the great fire of 64 A.D. and before the Senate declared him an enemy of the state after his death in 68 A.D.
Its astonishing grandeur and architectural complexity certainly suggests it was imperial work, and the Domus Aurea was extravagant beyond anything seen before or after. It covered 200 acres over 4 of Rome’s 7 hills and included a massive lake which was drained by the Flavians to build the Colosseum. That dining room would have had a prime view of the lake, in fact, and its waters might even have powered the revolving mechanism. 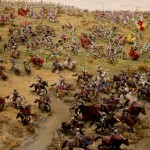 For hundreds of years people have thought the Battle of Bosworth, the final clash in the War of the Roses and the last battlefield to see the death of a British monarch (Richard III), took place on Ambion Hill. 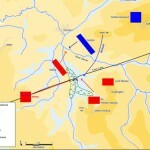 After almost four years of careful investigations undertaken by the Leicestershire County Council and the battlefield Trust, experts now believe the battle actually took place a full mile away. 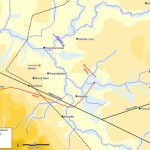 Richard Knox, curator of Bosworth Battlefield, said it was now likely that the proper site was on low-lying ground between the villages of Shenton, Stoke Golding and Dadlington, first proposed by the historian Peter Foss in 1990. 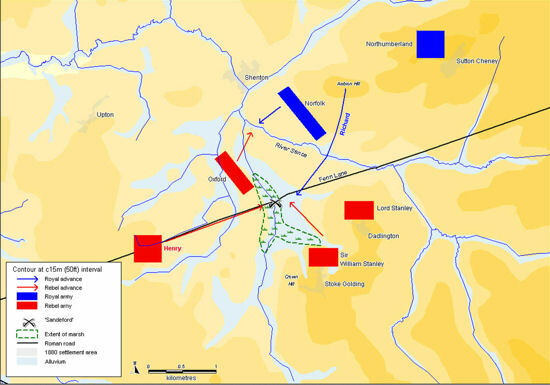 The key to the mystery is likely to be finding the former marshland that Henry is said to have used to his advantage to attack the vastly larger army of his enemy from the flanks. Investigations there have found ancient names given to the area such as Fenn Hole and Fenn Meadow, and a team is currently scouring the area with metal detectors. 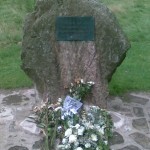 Tests have apparently conclusively demonstrated that Ambion Hill cannot be the battlefield, but there is another spot also in contention besides the Foss hypothesis: a field in Atherstone, where documentary evidence indicates that Henry the VII remunerated farmers for damage done “at our late victorious field”. We won’t know the final results of the survey until early next year. 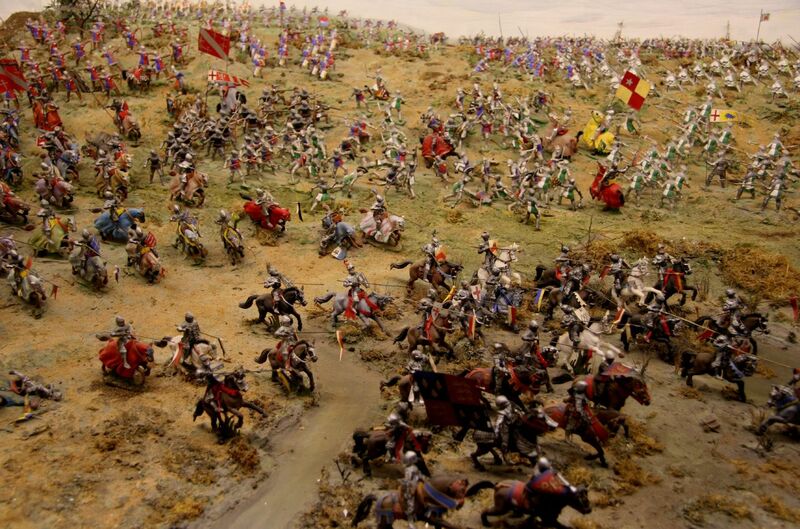 Hopefully some battle artifacts will be found on one of the possible sites which confirms without question where the Battle of Bosworth actually took place. 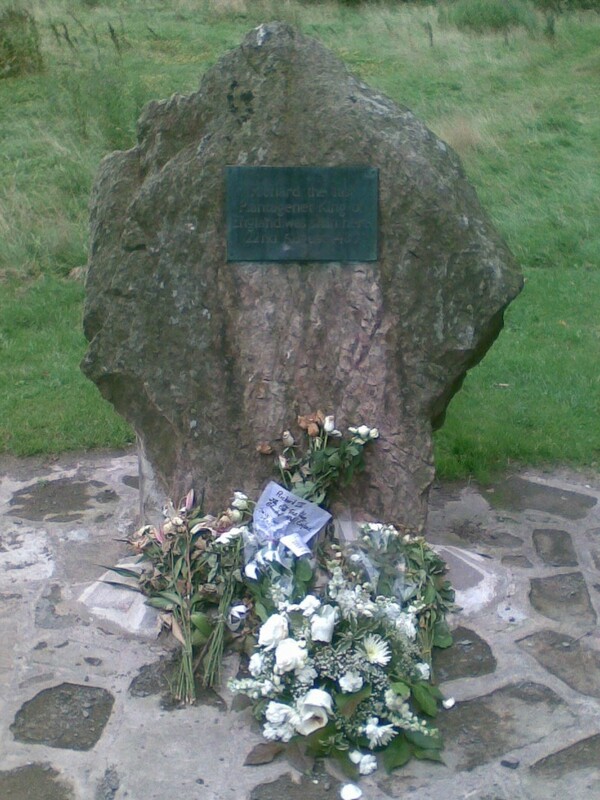 This is a bit of a bummer for the Leicestershire County Council which has built a large visitor’s center on Albion Hill and installed a huge commemorative stone marker on the putative spot where Richard III was killed. Still, they’re the ones sponsoring the study because they want to know the truth, as far as it is possible to uncover given the fragmentary and conflicting medieval and Tudor sources. On the bright side, if it does turn out to be one of the other locations, they can keep the field free of visitor’s centers and parking lots and whatnot. The new visitor’s center at the battle of Gettysburg was intentionally built away from the battlefield so the site could be restored to Civil War-era topography. Maybe they can do something similar once they pinpoint the right spot. 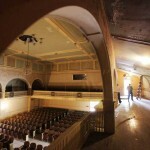 Historic theatre to be renovated into a theater! These days when you hear about a historic property getting renovated, it’s all too often turned into lofts or condos or retail space, so I was delighted to hear that the Newport Casino Theatre, designed by architect of the rich and famous and scandalous crime-of-passion victim Stanford White, is being renovated for use as an actual theater. Built in 1880 as part of the Newport Casino complex, now a National Historic Landmark, the theater belongs to the International Tennis Hall of Fame. 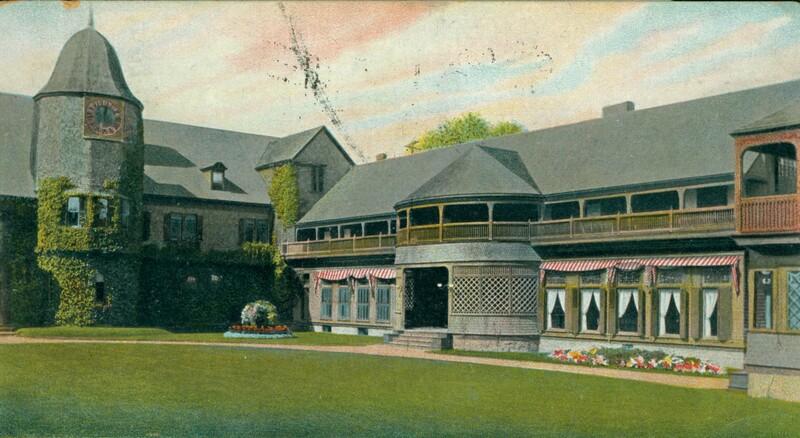 It was tennis that rescued the Casino complex from decrepitude and almost certain demolition in 1954, and in 1963, James van Alen donated the theater to the Tennis Hall of Fame so the complex was unified again. The complex is widely considered one of the best examples of Victorian Shingle Style architecture extant. Everything except for the theater was extensively renovated in 1997, and now it’s the theater’s turn. 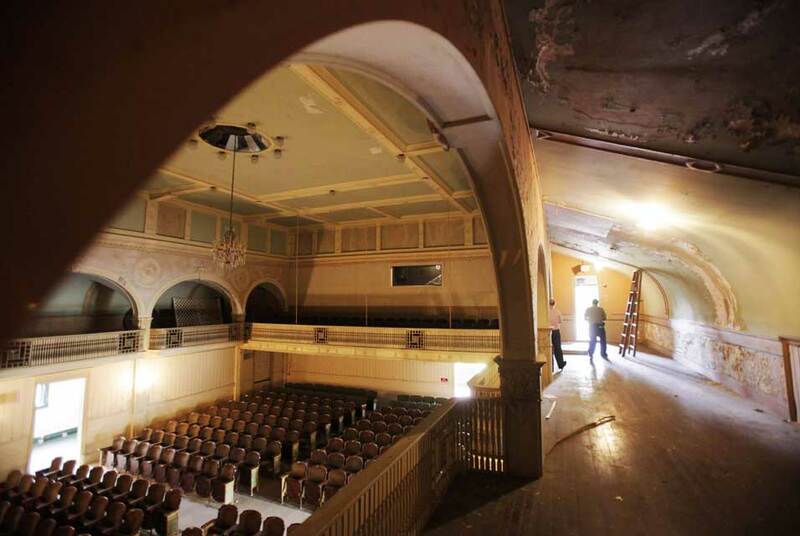 It’s the first theater Stanford White designed, and the only one left standing, so even as it closed its doors in 1987 due to structural damage it was designated a National Historic Landmark. A visual masterpiece, the Casino Theatre served as both a 500-capacity removable seat theatre and as a ballroom for dances. The interior was gold-trimmed ivory with a sky blue ceiling, decorated with golden stars. 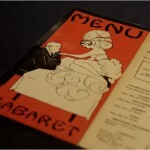 It was the scene of many artistic performances, both amateur and professional. 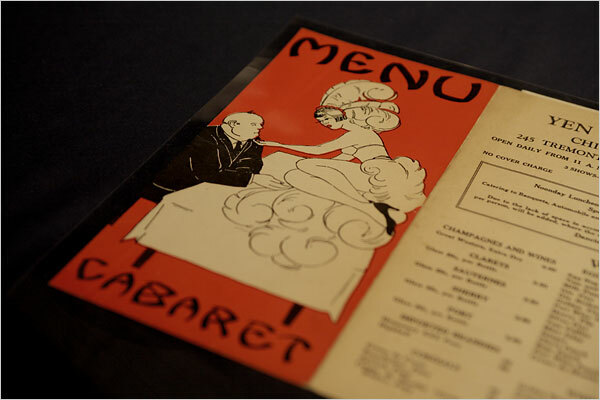 Dances, recitals, poetic readings, shows and ballets were held for the adults, while children were entertained by vaudeville acts and magical mystifications. Some of the most famous artists of their eras trod those boards, Basil Rathbone, Oscar Wilde, Charlton Heston, Helen Hayes and Will Rogers among them. 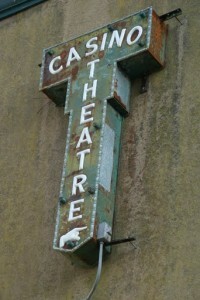 The theater closed its doors in 1987 and has been vacant ever since. Although its facade and structure have suffered some damage, it is still sound and the acoustics are said to be excellent. The original cosmetic features are still in place if in need of a face lift or two. The building, which will seat roughly 300 people, maintains its original touches, from grand curtains and an orchestra pit beneath the stage to green-fabric chairs with spaces below for men to stow their top hats. A walk along the theater balcony reveals gold-inflected woven wickerwork on the ivory walls and intricate renderings of scallop shells and flames. The paint is peeling and some of the chairs may have to be removed. Air conditioning and heating units will have to be added, plus stuff like wider aisles and ramps to bring the building into compliance with modern laws like the Americans with Disabilities Act. Once it’s done, perhaps as soon as next summer, nearby Salve Regina University will get to use it as its school theater. The Tennis Hall of Fame and local organizations like the Newport International Film Festival will also use the space for a variety of functions. Michael Bennett-Levy is retiring. He’s moving from a medieval fortress in Edinburgh to a medieval fortress in Southern France, and like anyone on the move, he has to downsize. When you’re an antique scientific instruments dealer, however, your version of downsizing is the coolest Bonhams auction of all time. His collection of early televisions is without peer. 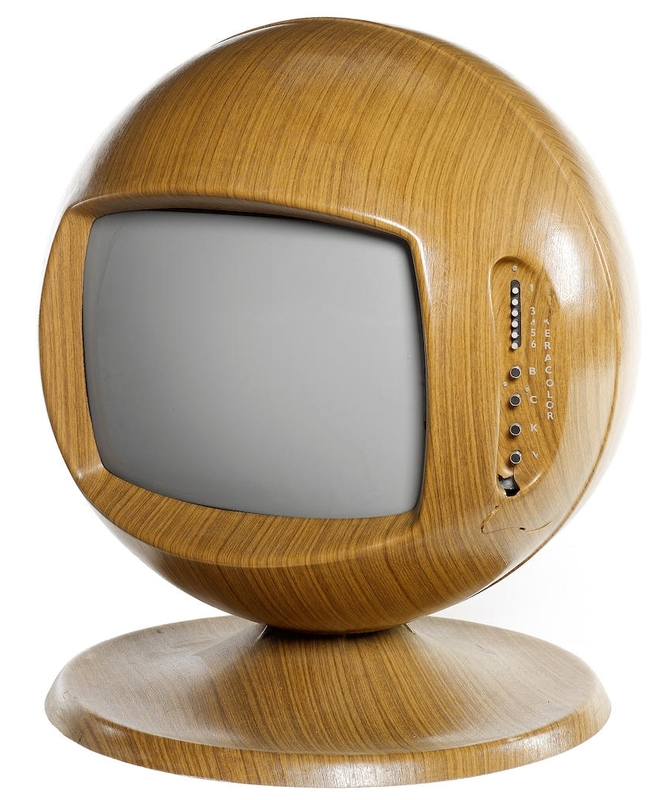 There are beautiful furniture pieces from the very dawn of broadcast television in the 30’s; there are advanced technology projection units from the 50’s; there are stylized decorative televisions from the 70’s. Some of them are even in working condition. His two dozen rarest sets were made in the 1930s to receive the first British and American broadcasts. 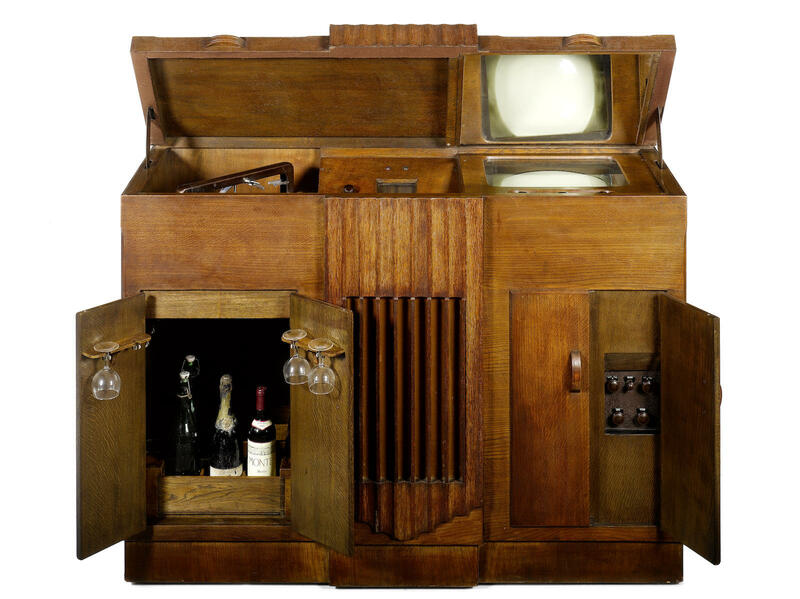 He is selling them on Wednesday at a Bonhams auction in London, with estimates ranging from a few thousand dollars to about $33,000 for an oak unit that also contains a record turntable, radio and mini-bar. That’s just the most expensive part of the collection. I’ve been browsing the catalog for two days now, oohing and aahing over the vast array of early technology. 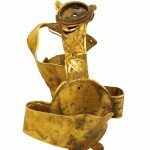 I’m not even close to finished and so far I’ve come across timepieces from gilded 18th c. French mantle watches to wall-hanging Swatch watches, telescopes, barometers, navigational instruments, foghorns, ship models, gas masks (including one for a baby), Zeppelin bomb shrapnel, an anti-tank missile, a pull-along grasshopper toy, turn of the century roller skates, kaleidoscopes, photographic equipment, stereo viewers and cards and oh so much more. 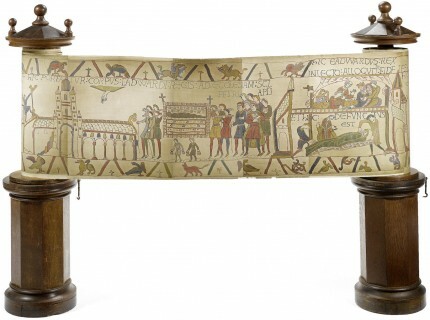 Most droolworthy of all, though, is a full size replica of the Bayeux Tapestry photographed by Joseph Cundall in 1874 and mounted on its original Arts and Crafts stand. It’s 226 feet long. It was the longest panorama ever made in the 19th c., and as far as Michael Bennett-Levy and Bonhams know, it’s still the longest panorama ever made. There were only 6 of those ever printed, and the rest are either lost, damaged or incomplete. The estimate is £5,000 – 8,000. If I had the cash, I would seriously pay double that up front right now no questions asked. 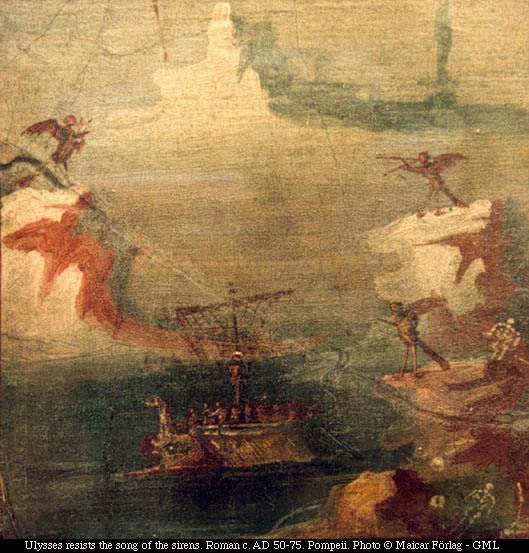 Some of ancient Rome’s most beautiful wall paintings are scattered around in museums all over Italy and Europe. Now for the first time, 100 of these works (mainly frescoes with a handful of extremely rare portraits on wood) representing the four major styles of Roman painting over the course of 400 years are on display in one place: Rome’s Scuderie del Quirinale museum. 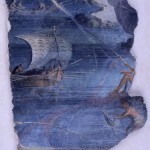 The pieces all come from patrician villas discovered in Rome and the Campania region (where Naples, Sorrento and Pompeii are) starting in the 17th century. If you wanted to see them all in their regular domiciles, you’d have to go to Rome, Naples, London, Edinburgh, Paris, Berlin, Moscow, Monaco, Frankfurt and Zurich. 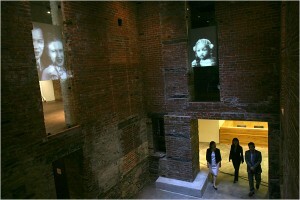 The halls of the exhibition are dim and each of the works has an individually designed back and front lighting system. Some of the piece[s] are so large that the viewer has a feeling that he might just be a guest in the Roman house. One large wall panel contains tiny figures evoking everyday life painted in white on a black background. 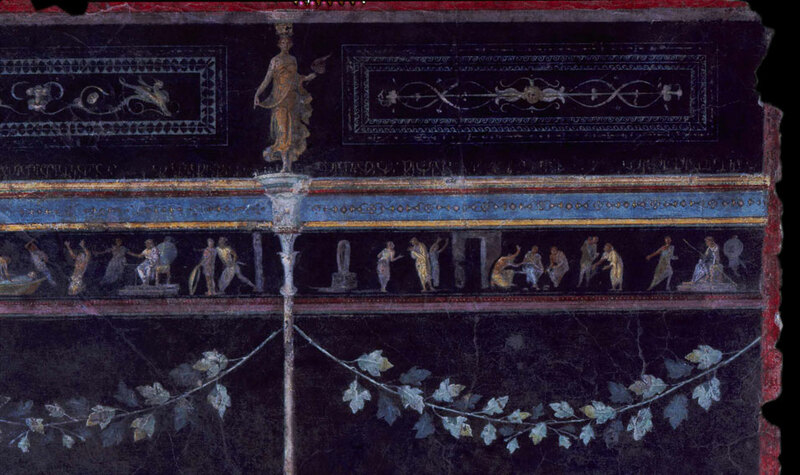 The panel, taken from the Villa della Farnesina, a lush house of the late Roman republican period that was discovered in 1879 along the banks of the Tiber and believed to have been the home of Giulia, daughter of the emperor Augustus. The lighting on the panel aims to reconstruct the effect that flickering candlelight would have had 2,000 years ago, leaving the hosts or guests of the house with the impression that the tiny figures were walking or the tiny ships sailing. Boy would I love to see that effect. A lot of times modern museum lighting really doesn’t covey the same feeling, especially when the piece being lit originally came from a wall in a house that had relatively few windows to begin with. (Wee digression: Roman architecture wasn’t big on windows, hence the peristyle garden, which brings natural light to all adjacent rooms without the noise and stench of a street-facing window. Back on topic, the exhibit opened yesterday and will close on January 17th. 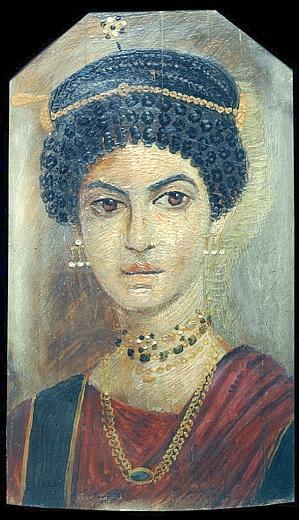 The museum will be hosting free companion lectures on Roman painting as well, in an effort to underscore the importance of painting as a medium to the ancients. The curator points out in this handy Q & A that we forget that the primary medium for Greek and Roman arts was painting, not sculpture. The latter just survives a lot better. 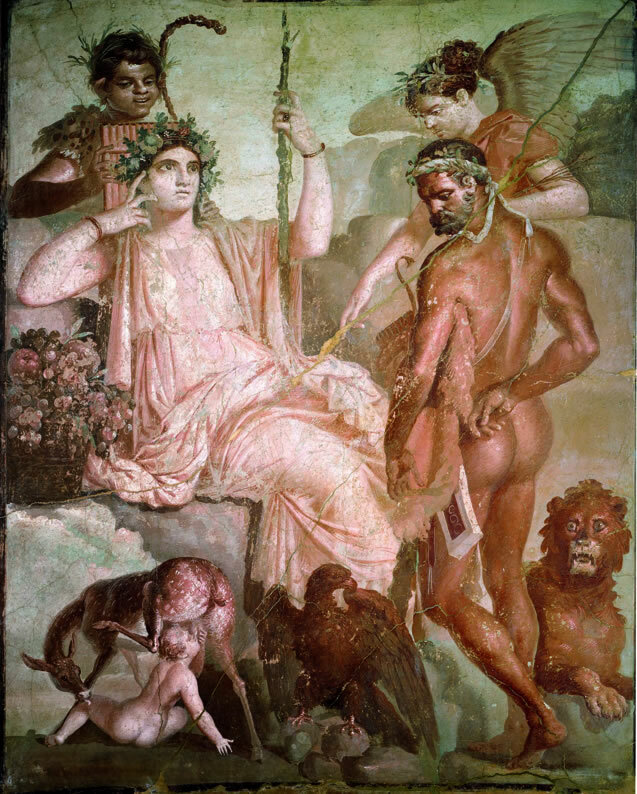 So this exhibit is trying to spotlight how important a cultural aspect it was, how color and paint were everywhere, even though the paintings we have are home decorations rather than major important works like, say, the ancient Roman equivalent of the ceiling of the Sistine Chapel. Imagine what the REALLY fancy paintings must have been like. I can’t even grasp that, frankly. 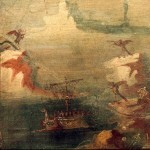 You can see more of the paintings from the exhibit in this slideshow from an Italian newspaper. Scuderie del Quirinale museum is worth seeing in and of itself, btw. The Quirinale Palace was originally a summer residence and conference center for the Pope, then the official residence of the King of Italy after reunification, and currently the official residence of the President. The stables were renovated and made into a museum only 10 years ago, and they don’t look like any stables you might be familiar with. They were built in grand style in the 1700’s. 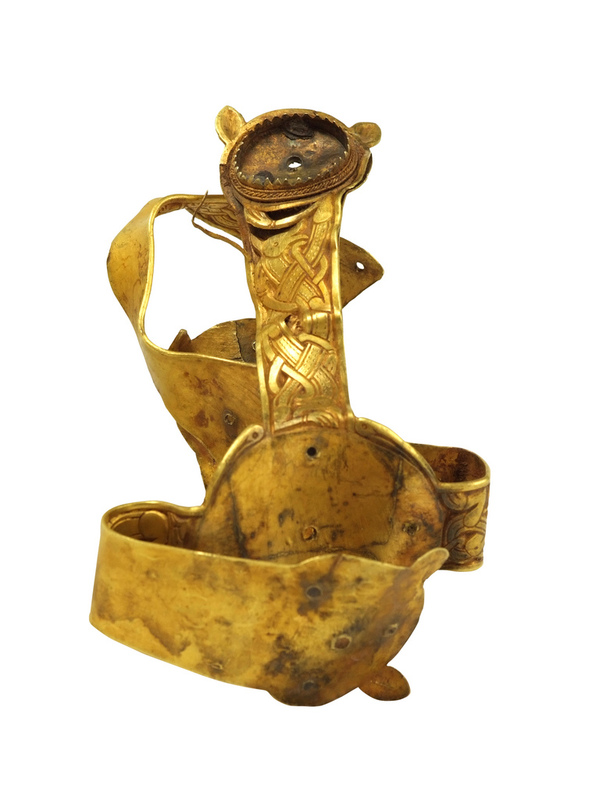 With almost 3 times the amount of gold found at the famous Sutton Hoo ship burial 80 years ago, plus pounds of silver, decorative objects and weapons, the importance of this hoard of Saxon treasure cannot be overstated. 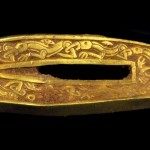 Experts are literally crying over it and calling it a find on a par with the Book of Kells and the Lindisfarne Gospels. 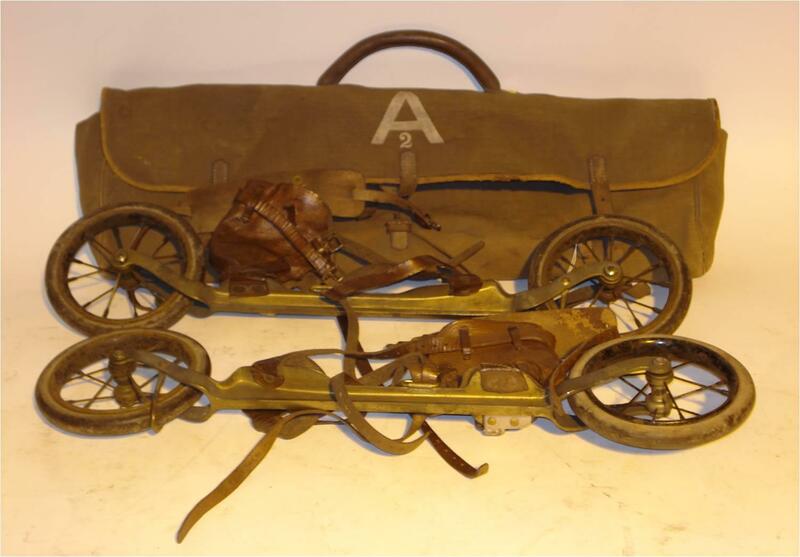 Yet again it was a metal detector hobbyist who literally struck gold this July in a farm field in Staffordshire. Terry Herbert lives on disability in public housing. When all is said and done, he and the landowner may be millionaires and then some. 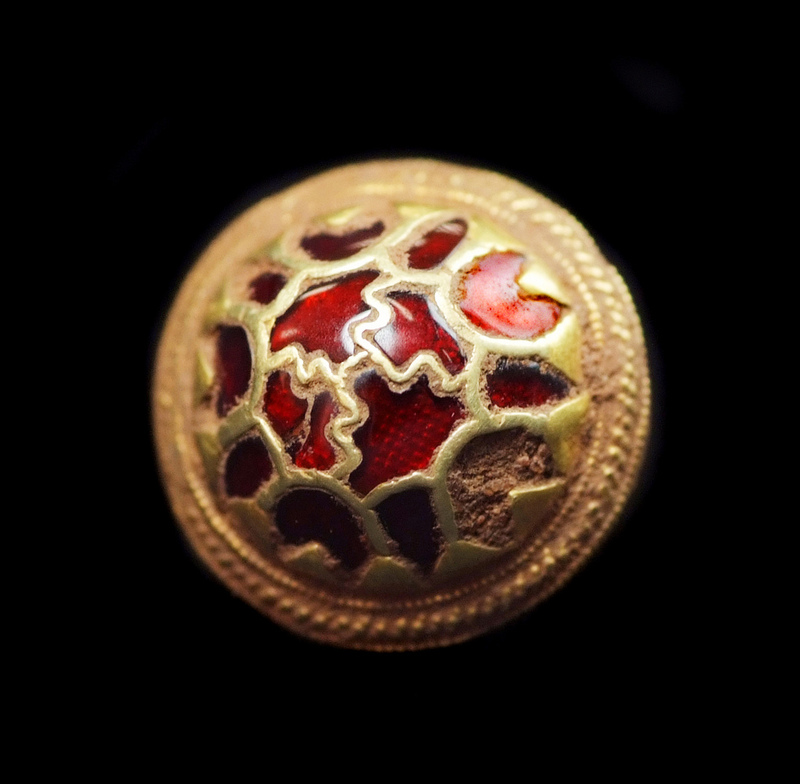 The gold includes spectacular gem studded pieces decorated with tiny interlaced beasts, which were originally the ornamentation for Anglo Saxon swords of princely quality: the experts would judge one a spectacular discovery, but the field has yielded 84 pommel caps and 71 hilt collars, a find without precedent. Interestingly, there are no female adornments in the hoard. 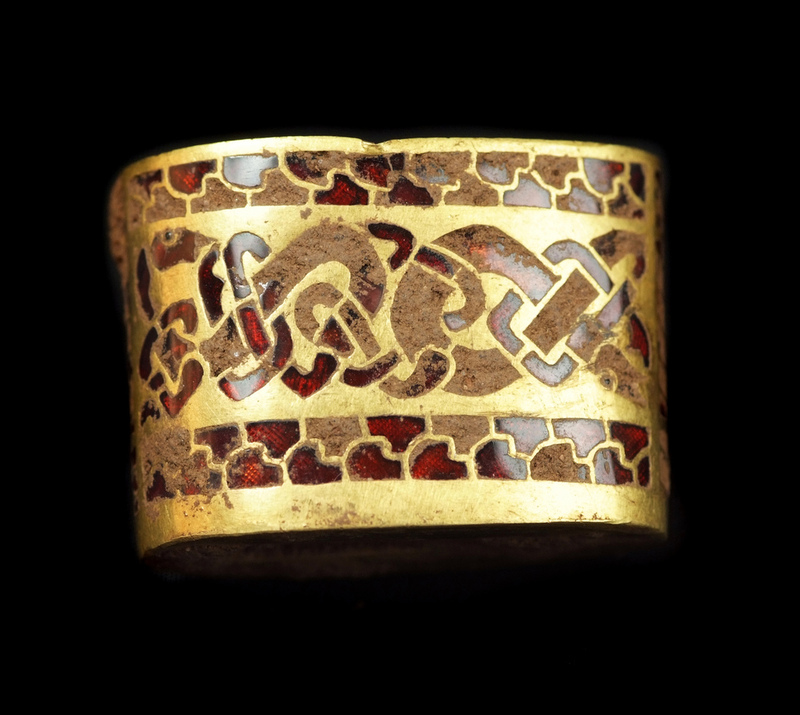 No jewelry, no brooches, no dress fittings, items which in past finds have formed the bulk of the treasure. That’s one of the reasons archaeologists think it may be the spoils of Mercian battles. There are 3 crosses in the hoard. The largest has been folded, possibly for ease of transport, which suggests the possessors may not have been Christians. 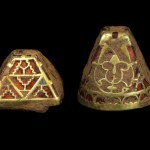 The find has been kept on the down low — the exact location still has not been published — while archaeologists finished excavating the treasure. The last pieces were removed a couple of weeks ago. Now they’re at the Birmingham Museum and Art Gallery where they will be on display from tomorrow until October 13th. 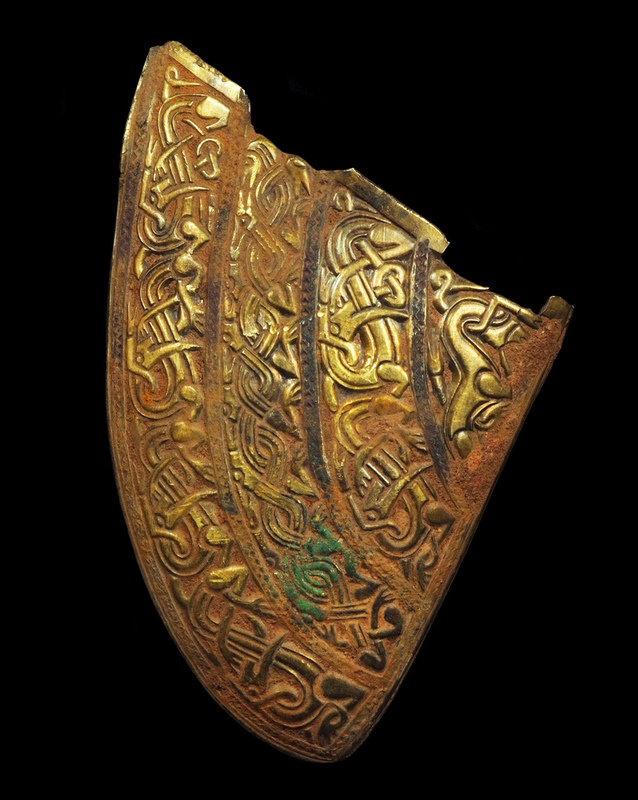 After that it’s off to the British Museum, where it will be valuated by more giddy experts as local museums scramble to raise enough funds to purchase the treasure for their galleries. 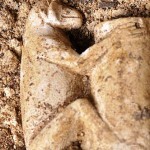 The skeletons of Paris and Helen found? Okay not really. I was just going for the splashy headline with the Paris and Helen thing. But the skeletons of a man and woman were indeed found buried together in Troy, in what is now Turkey. 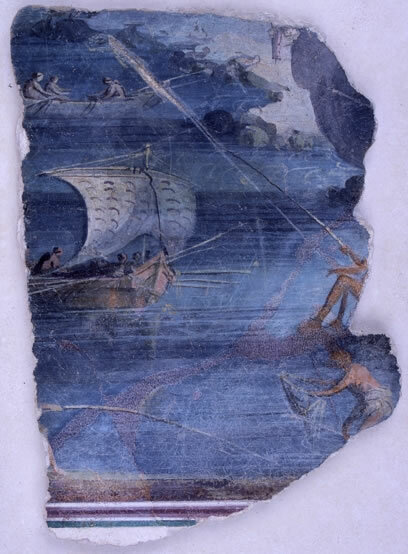 The remains haven’t been carbon dated yet, but pottery found near them dates to 1200 BC, the time of the Trojan War. 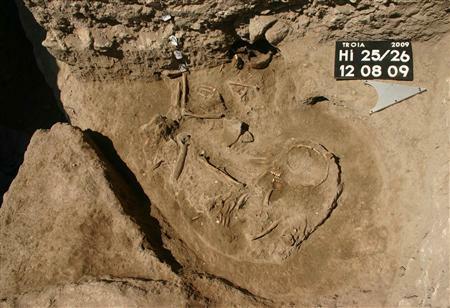 Ernst Pernicka, a University of Tubingen professor of archaeometry who is leading excavations on the site in northwestern Turkey, said the bodies were found near a defense line within the city built in the late Bronze age. The lower parts of the the bodies are missing, and it could be that the pottery is from one period and the skeletons from a later period. 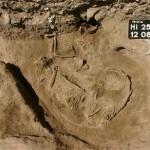 The bones could have been buried 400 years later in layers VI and VII. 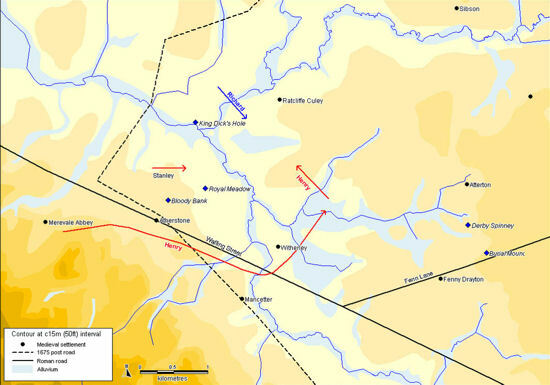 Troy VII is the one archaeologists think is Homeric Troy. It was destroyed by war, whereas Troy VI seems to have been destroyed by an earthquake and no human remains have ever been found there. The Museum of Chinese in America was founded almost 30 years ago as the Chinatown History Project, a small community institution dedicated to preserving the oral histories, artifacts and records documenting Manhattan’s Chinatown. Over the decades as the collection increased in size, the scope of the museum has widened to include documenting not just the history of NYC’s Chinatown, but of the Chinese experience in the United States. Now it has moved into newly renovated digs six times larger than the original. 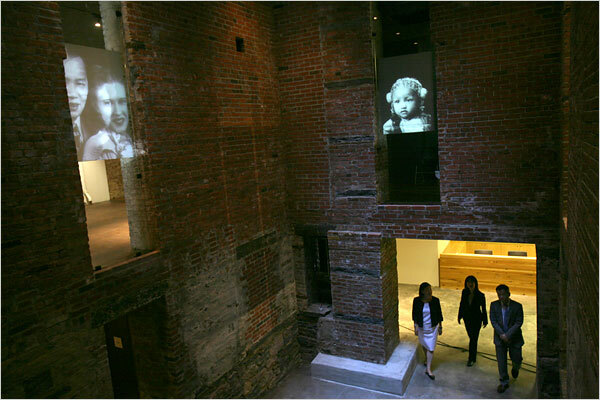 Formerly an industrial machine repair shop, the new museum space was designed by board member and renown architect Maya Lin, the designer of the Vietnam Memorial in Washington, D.C. This core exhibition, “With a Single Step: Stories in the Making of America,” was created by the historian John Kuo Wei Tchen, a co-founder of the museum, along with Cynthia Ai-fen Lee. 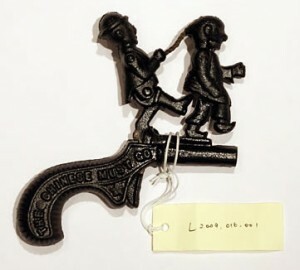 It depends less on artifacts like the cap gun or the display of irons used by once-familiar Chinese laundry establishments than on the arc of the narrative. One side of some galleries tells of struggle and hardship, showing images of the riots that led to the 1882 Chinese Exclusion Act, for example, in which unskilled Chinese immigrants were barred. Also on display are the crib sheets an aspiring immigrant once studied to convince officials at Angel Island (the San Francisco counterpart to Ellis Island) that he was more than a “paper son” whose false documents affirmed a connection to someone already in America. The most fascinating galleries are compressed displays of how the image of Chinese-Americans was shaped into stereotypes in early 20th-century culture, ranging from Fu Manchu’s villainy to chop suey’s homogenized exoticism. The position of Chinese-Americans became still more complicated when China was an ally during World War II, a Communist enemy in the 1950s and a warily watched trading partner and political rival in the 1980s and ’90s. The other side of the main gallery is dedicated to Chinese-Americans who succeeded in their fields despite the obstacles thrown in their path, like Dr. Faith Sai So Leong, the first female Chinese dentist in America, and Yan Phou Lee, the first Chinese student elected to Phi Beta Kappa, as well as contemporary Chinese-American luminaries like Secretary of Energy Steven Chu and cellist Yo-Yo Ma. 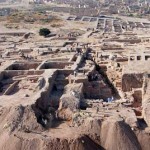 Archaeologists excavating under the ancient royal palace of Qatna in what is now Syria have uncovered a 3500-year-old crypt untouched by grave robbers. The crypt has two chambers — an anteroom and the grave room where the human remains are — and is 16 feet by 21 feet in dimension. Thirty skulls within suggest that a corresponding number of people were buried there, and bones stacked in groups among splinters of wood may indicate a secondary burial, the statement said. Ceramic and well-preserved stone vessels of granite and alabaster, along with gold jewellery and other artefacts were also within the crypt. 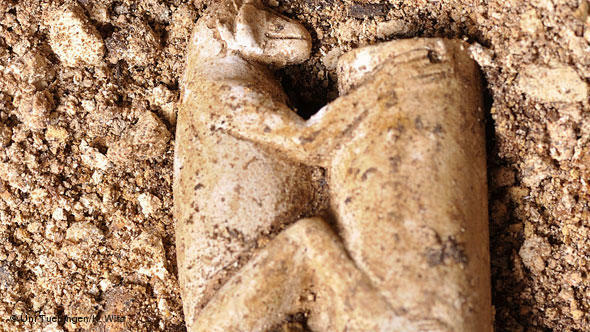 The team also found a small sculpture of a monkey holding a vessel used for cosmetics and an ivory human statuette. 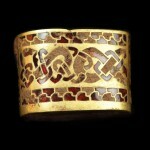 The bones could well be the remains of royal family members or people in their household. There are no inscriptions, so even though of course the bones will be examined thoroughly, it’s not likely archaeologists will be able to identify the remains. 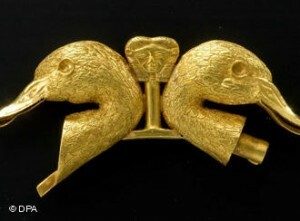 Qatna was a major kingdom in the Bronze Age. 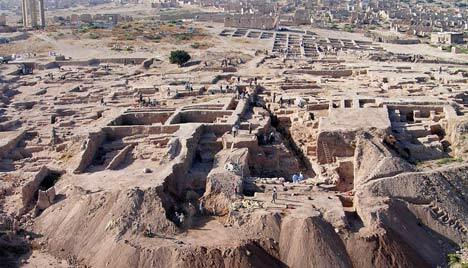 It was a trading hub between Mesopotamia, the Mediterranean, Anatolia and Egypt with as many as 20,000 inhabitants in the city at its peak, 1800 – 1600 B.C. The city was finally burned down in 1340 B.C. 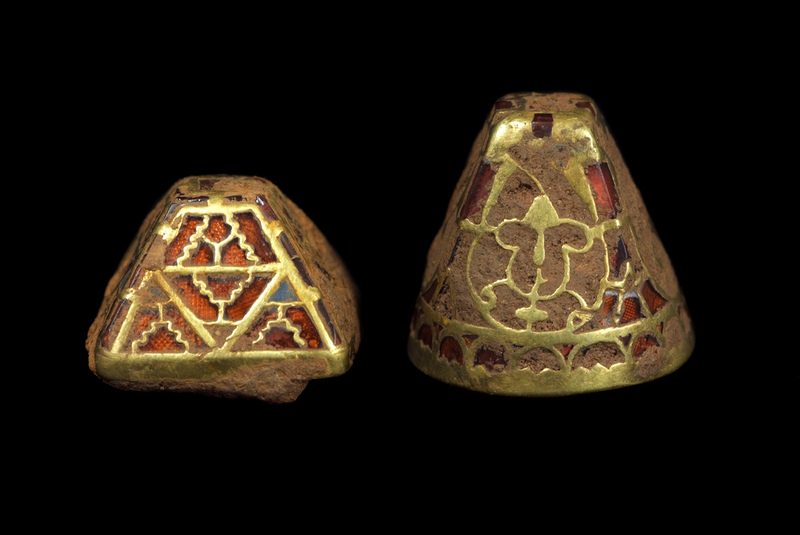 Previous excavations at the palace have uncovered one other unlooted grave packed with goodies. The artifacts from that find will be on display in the Wuerttemberg State Museum in Stuttgart come October 17th. 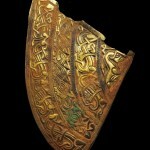 This will be the first time Qatna artifacts will be exhibited in Europe.